Moerlina’s highly successful Support a Reader program is overseen by our Literacy Support teacher and run with the help of volunteers. 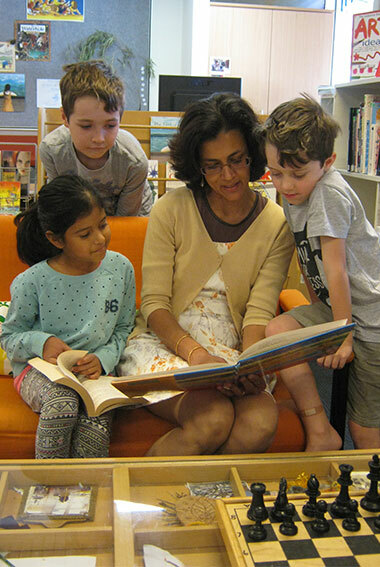 The Support a Reader program provides reading opportunities for students of all abilities to develop further confidence, vocabulary and comprehension strategies in an enjoyable one-to-one situation. The program trains community volunteers to use a standardised intervention strategy, to ensure consistency at home and school. Our volunteers come from within the school, such as parents and grandparents, and from the wider community such as past families, retirees and friends of the school. If you are interested in volunteering for this program please contact the school’s office on 9384 5894.